The settings of each view. E.g. 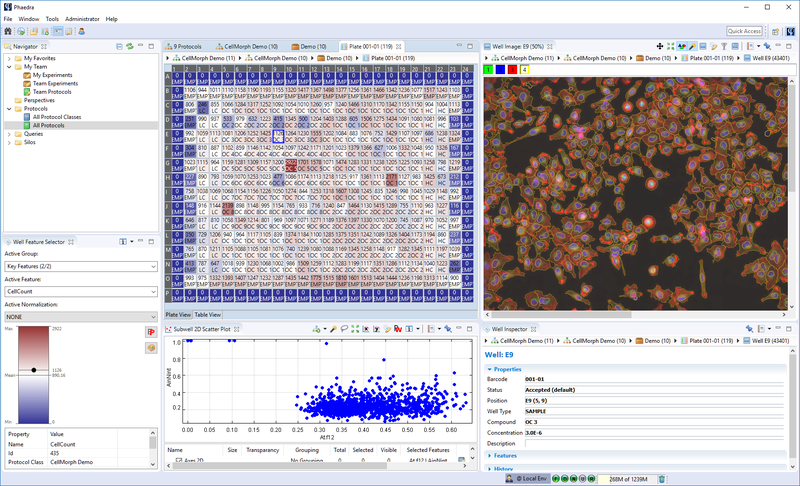 for a scatter plot, this includes the features on the X and Y axes, colors, point sizes, etc. 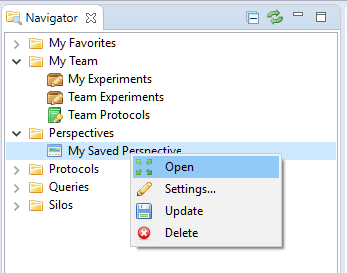 Note: for an introduction to views, take a look at the Application Tour. You can save a perspective for easy reuse: at any time, you can open a Saved Perspective and the workbench will be adjusted to show the layout as it was when you saved the perspective. Enter a name for the Saved Perspective, and click OK. When the perspective has been saved, it will appear in the Navigator under the Perspectives item. 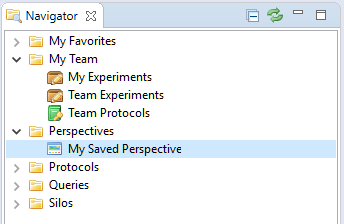 To open a Saved Perspective, locate it in the Navigator, right-click it, and select Open. Alternatively, double-click on the perspective to open it immediately. After a Saved Perspective has been opened, you can update it by making changes to the workbench, then right-clicking the perspective in the Navigator and selecting Update. Note that this will overwrite the current state of the Saved Perspective. 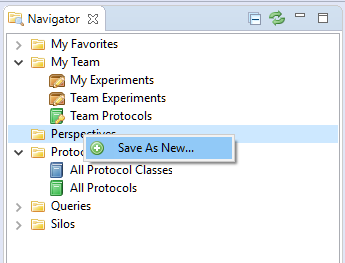 To delete a Saved Perspective permanently, right-click it in the Navigator and select Delete.